Join WIT for this 1-hour webinar to learn how to stay ahead of the curve with emerging technologies like machine learning, predictive analytics, and artificial intelligence. You will hear from Eric Siegel, founder of Predictive Analytics World and he will share how businesses are implementing predictive capabilities and see a product demonstration of DataRobot, an automated machine learning platform that puts the power of prediction in your hands. Eric is the founder of Predictive Analytics World, a global conference series, the author of the award-wining book Predictive Analytics: The Power to Predict Who Will Click, Buy, Lie, or Die, and a former professor at Columbia University. Eric has appeared on Al Jazeera America, Bloomberg TV and Radio, Fox News, and NPR Marketplace. He and his book have been featured in Businessweek, Forbes, Forrester, Fortune, Harvard Business Review, The Huffington Post, The New York Times, Newsweek, The Wall Street Journal, and The Washington Post. Watch Eric Siegel's keynote address from the 2018 Great Lakes Business Intelligence & Big Data Summit hosted by WIT. In this keynote, Eric reveals how predictive analytics works, and the ways in which it delivers value to organizations across industry sectors. Dr. Gourab De is the Vice President of Data Science at DataRobot, where his primary focus is helping customers improve their ability to make and implement predictions. Previously, De was part of the data science team at Ginger.io focusing on behavioral analytics in mental health. His professional experience includes statistical genetics, clinical trials, retrospective claims analysis, chart review studies, predictive modeling and pharmacoeconomic modeling. De graduated with honors from the Indian Statistical Institute in Kolkata, India, and received a Ph.D. in Biostatistics from Harvard University. Watch a case study presentation from the 2018 Great Lakes Business Intelligence & Big Data Summit about the innovative work the Michigan Center for Integrative Research and Critical Care (MCIRCC) is doing with DataRobot to predict if ICU patients are trending toward instability - hours before vital signs or visible signs of decompensation are present. 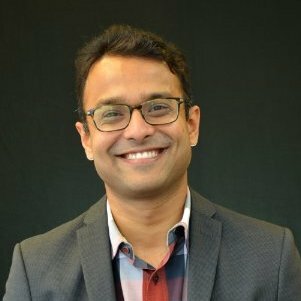 Learn more about Data Science Superhero, Dr. Ashwin Belle and his team from MCIRCC!